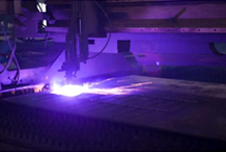 Pre-heating before gluing forms the optimum basis of a high standard of gluing. 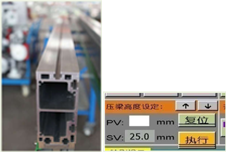 Aluminum pressure beam provides high precision and excellent stiffness. 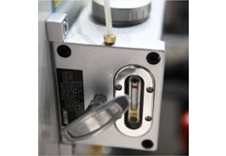 The position of pressure beam is available at a glance by using digital display meter for adjusting and resetting rapidly. 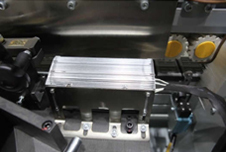 The up and down of pressure beam driven electric by three-phase asynchronous motor, is available to operate in touch screen. Limit position detection reduces possible accident of faults. 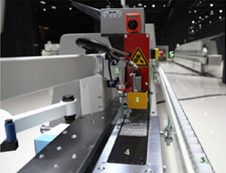 Interval feeding detection system designed for controlling processing distance to enhance productivity. 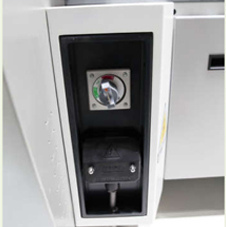 A safety protection device prevents any possible accidents and ensures safe operation of operators, automatic monitoring abnormal operation. 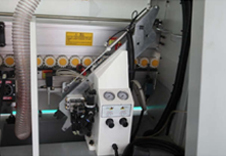 Panel support frame with guiding rollers makes large panels be transmitted smoothly. 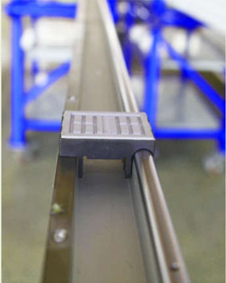 Sheet rubber for protecting staff from hurting hands while placing panels on the guiding rail. 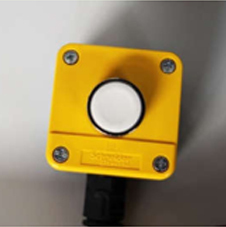 Scram button is designed to stop running at once, guarantee operator life safety. 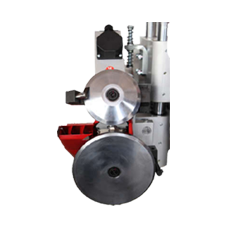 The wearproof conveying piece coupled with miter pinch rollers to ensure panels transmitted smoothly. 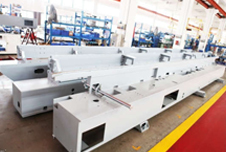 The speed of conveyer belt can be adjusted in sectional type, 16m/min, 20m/min, 24m/min. 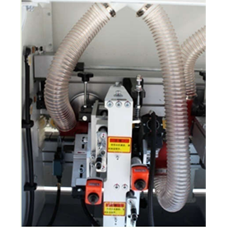 Pre-milling unit for deburring, guaranteeing perpendicularity and removing straightness errors of edge banding sides. 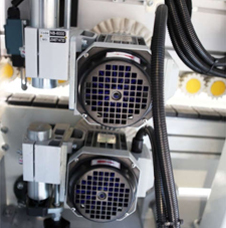 Two motors controlled by air cylinder. 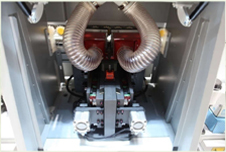 2× 3.7kW motors; Rotating speed: 12000 rpm. 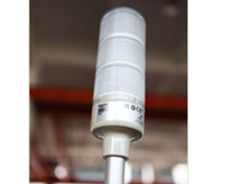 360°dust cover prevents burr and dust to offer longer service life, save labor and possible costs of maintenance. 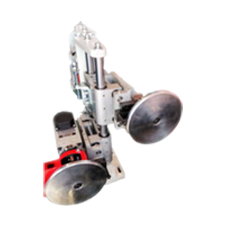 Glue belt feeding device with the knurled pin wheel structure, can greatly increase the friction, making edge tape feeding more smoothly. 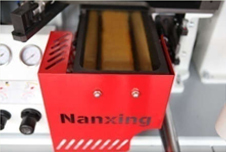 Equipped with stock guide, and the distance between gluing device and stock guide controlled within 0.5mm, imported high precision measuring plate for feeding, control sensitivity up to 0.5mm, to provide high gluing quality and reduce additional cost effectively. One pre-pressure roller and four post rollers to press edge tape on panel surface firmly. 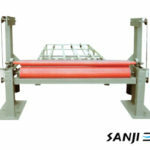 One pre-pressure roller and four post rollers for higher edge banding quality. 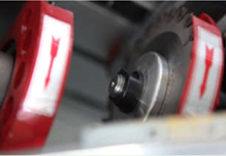 Edge tapes in different thickness can be adjusted manually so as to achieve the best edge banding effect. Equipped with independent protective cover. 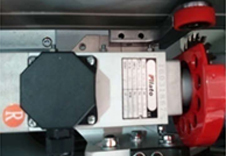 Independent Delta frequency convertor for controlling and overload protective function to extend machine’s service life. 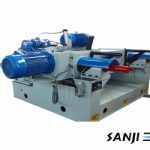 Oiling pump helps to oil each components for normal working of machine. 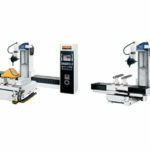 Using 2 motors (power: 0.5kw; frequency: 200 Hz, rotating speed: 12000rpm/min). Scraping the edge by R2 cutters, making edge banding more beautiful. 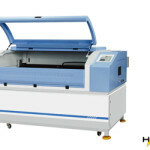 Equipped with digital display meter for adjusting and resetting rapidly. Driven by continuous current dynamo, more stably. 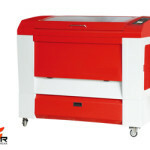 Equipped with digital display to adjust and reset rapidly. 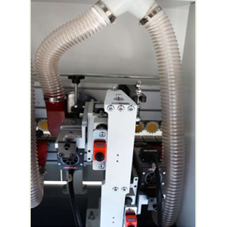 All suction hoods are fully covered, each unit equipped with an independent suction hood. 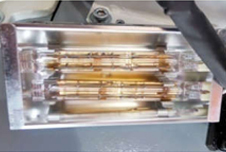 Blow air cleaning system keeping clean during the course of processing. 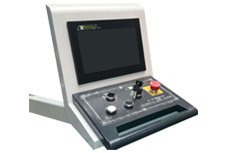 Halt switch for debugging and adjusting machine. 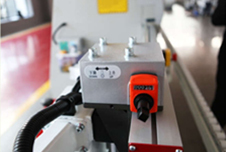 Main switch for controlling machine operation. Adopted imported Germany operation indicating light. 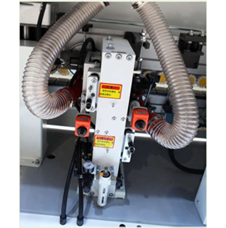 The operation status of the machine is available at a glance. 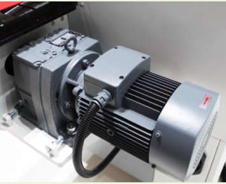 The conveying motor makes variable frequency starting possible, very stable and equipped with braking system. Adopted 10’’ touch screen. 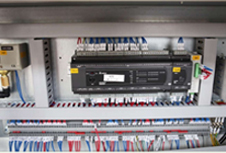 Operation interface is intuitive and simple, available to control each component independently and generate statement accordingly. 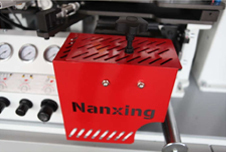 Maximums operation convenience, training period can be effectively reduced so as to save labor costs. 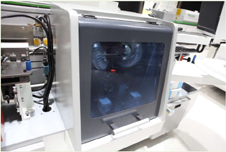 A whole-process monitor for analysis processing craft and errors of running status independently, then the reason for errors are found rapidly based on the error code shown in display screen. System languages: English, simplified Chinese, and traditional Chinese. 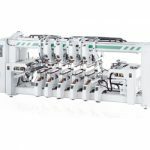 Most of electric components of the machine are international brands for high quality and generality, enhance productivity effectively. 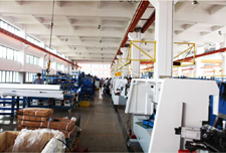 A part of production line of NB series.